What do shower gel bottles, soccer cleats and a car have in common? Nothing? Think again: Glue is what holds them together. Now, you’re probably saying to yourself: “In sports shoes and cosmetics, sure – but in cars?” In fact, the automotive industry is increasingly replacing metal rivets and screws with adhesives, because modern lightweight construction processes depend on them. Adhesive technologies can work wonders in their industrial applications, which range from meter-high wind turbines, through razor-thin touchscreens and all the way to the inner workings of our smartphones. Mankind discovered the power of glue early on in its history. The Neanderthals, for instance, used birch tar to make tools. Over time, the effectiveness of adhesives improved and the number of possible applications grew proportionally to the emergence of new technologies. Henkel arrived in the adhesives business by an accident of history: In reaction to the supply bottlenecks that occurred in the aftermath of the first World War, Hugo Henkel tasked his chemists with developing their own glue for sealing cartons of Persil. Today, the company is the global market leader and has expanded its activities well beyond conventional glue. 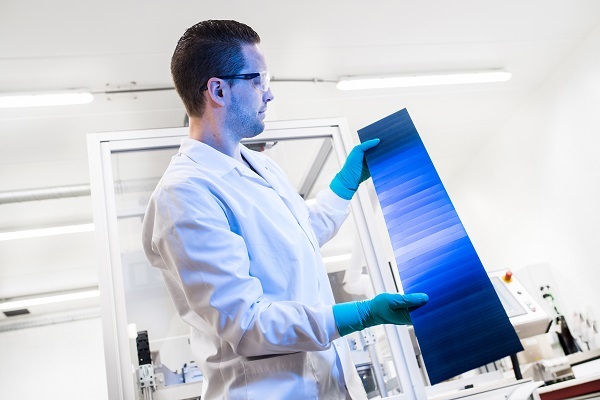 Collaborating with various industrial partners, Henkel’s Adhesive Technologies business unit develops high-impact material solutions that act as invisible helpers to make everyday products lighter, smarter and more efficient. Covering sealants and functional coatings in addition to adhesives, the company&apos;s technologies support multiple digital applications, contribute to making electromobility a reality and even help to enable food safety. … that Henkel is the world’s largest adhesives manufacturer? The Adhesive Technologies business unit operates in more than 130 countries and over 800 industry segments. … that over 300 adhesive applications can be found in a modern car? Working closely with the automotive industry, Henkel develops new technologies to make vehicles better, safer and more sustainable. … that a smartphone contains up to 50 Henkel applications? Among other things, they dissipate heat and make things like touchscreens and fingerprint recognition possible. … that Henkel runs the world’s largest adhesives factory in China? Stretching across 150,000 square meters, the “Dragon Plant” in Shanghai has been producing adhesives for the Asian markets since it first opened in 2013. … that a portion of the Great Wall of China was restored with adhesive technology from Henkel? The works took six years to complete. A stone tablet was set to commemorate the project. … that in 2015, Henkel experts reattached the beard on the death mask of Tutankhamun? The pharaoh’s beard had broken off while it was being cleaned. Henkel specially developed a high-tech melt adhesive to fix the mask. … that Henkel supplies over 130,000 industrial clients worldwide? Its core markets include consumer goods, the automotive, manufacturing and building industries, as well as the electronics sector. … that 6,500 technical specialists visit more than 1 million customers throughout the world each year? They work together on solutions to make their products even better, safer and more sustainable. … that 3 grams of glue are enough to move a 200-ton train? For the launch of its new Loctite Hybrids, Henkel demonstrated the adhesion of the products in live events. What do you think of when you think of weddings? Love, dancing, flowers and . . . LOCTITE®? Yes, Loctite!